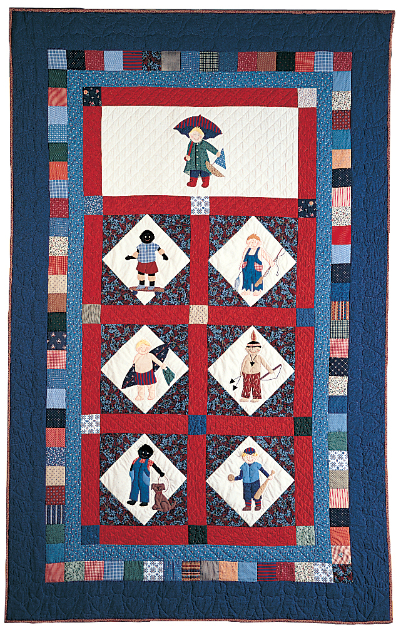 This original Piecemakers pattern features a day in the life of a boy. Includes full size patterns, instructions for applique, hair styles and quilt construction. 36 pages.